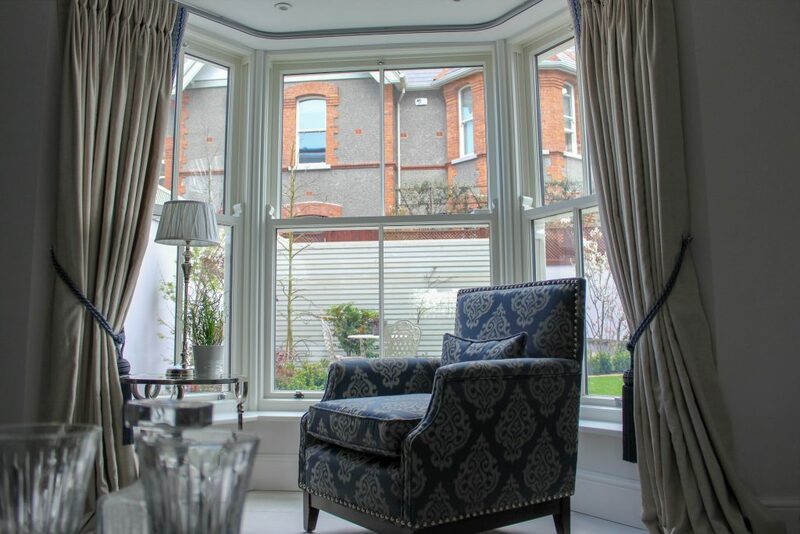 The link between the outside world and the cosy interior of your home is at the heart of a bay window. Bay windows and their lesser known cousin, the bow window, expand the view, let in the light, open up the room and provide a unique decorative and design feature. Whether you are opting for a floor to ceiling look or a cushioned reading nook, a bay window will delight you. What is the difference between a bay window and a bow window / compass window? A bay window is a generally 3 flat windows with a central picture window and 2 side windows. These were very popular during the Victorian era and many period properties in Dublin and through Ireland feature a lovely bay sash window. Of course, these can also be casement windows that open outwards if that suits the design of the building better. A bow window, on the other hand, is a series of 5 or 7 windows that are curved to form an arch. Typically a style originating in the 18th century, these are a very beautiful window. The design starts with the radius of the curved section of the building being measured and divided into 5 or 7 sections – the uneven number of windows ensures that the central focal point of the window is open to the best view. 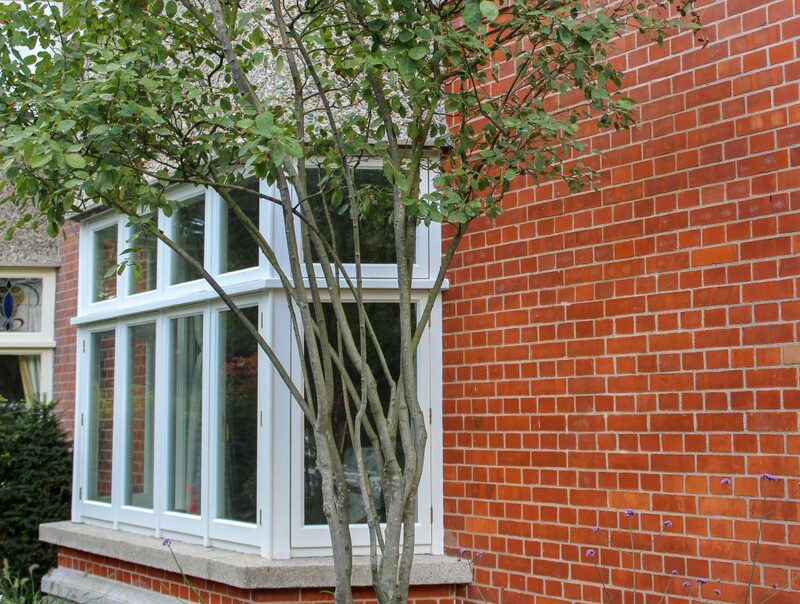 These windows can be manufactured to any design specifications. The timber is measured and cut curved in the factory. 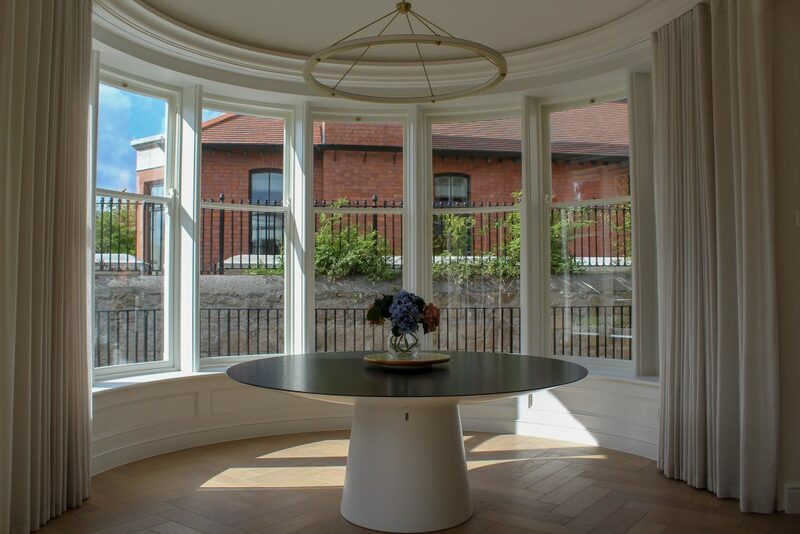 I asked Thomas who is our specialist in bow windows – he said that we can make it with any timber specified by the architect, however mahogany or teak are the very best choices. Accoya is very hard to machine on the curve, whereas mahogany is very stable and to be recommended. In the above image of the bow window you will see that the meeting rail on the sashes is 2/3 up the window. 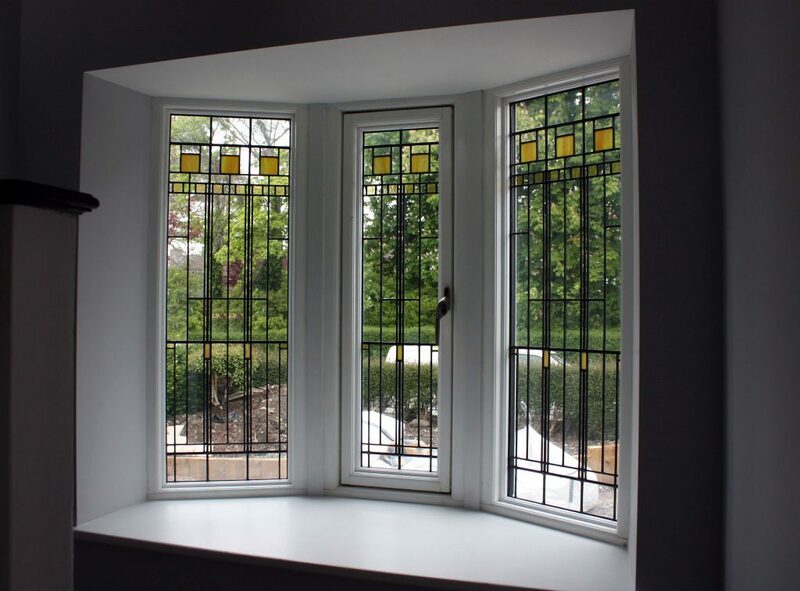 With bespoke windows, these are considerations that you will make. In the below image of the bow window you will see that the meeting rail is in the centre. Both are choices according to your aesthetic values. In both of these images you will see that only every second sash opens and the alternate windows are fixed. The reason for this is that it would make very chunky sections in between the windows to house the weights for 2 sliding sashes. Instead to achieve an elegant finish and slim windows, we alternate the openings. 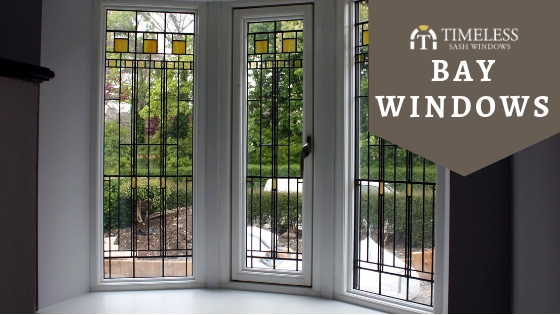 Bow windows are a good deal more expensive than bay windows as they require a lot of work to achieve the curvature in both the timber and the glass. 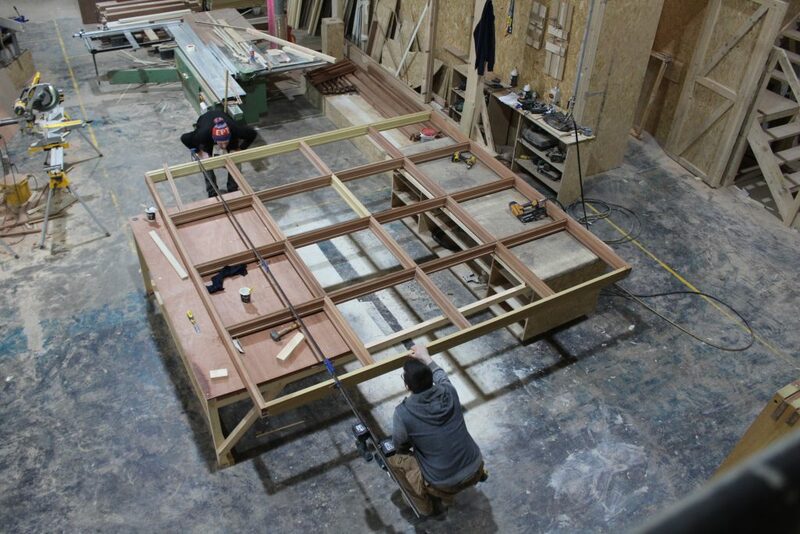 The double glazed units are bought in with the exact curve to fit in the sashes. 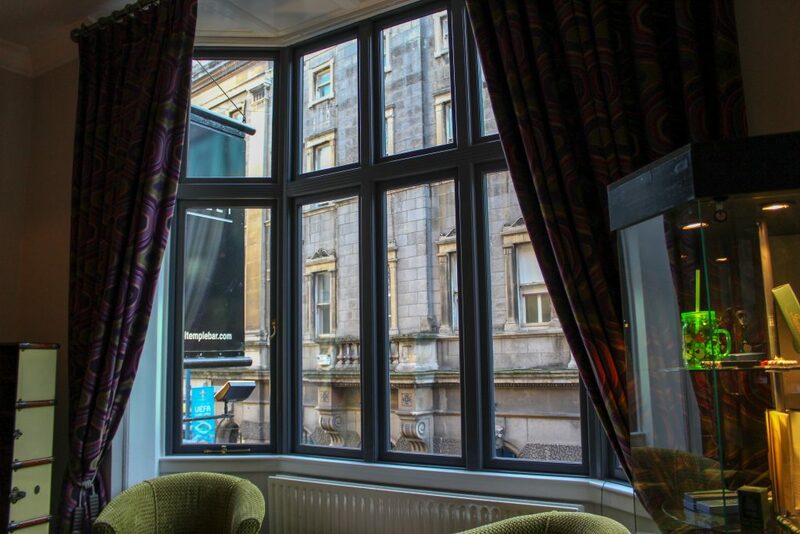 A bay window that features a central picture window and 2 side windows will most often be set at an angle of 22.5 degrees. 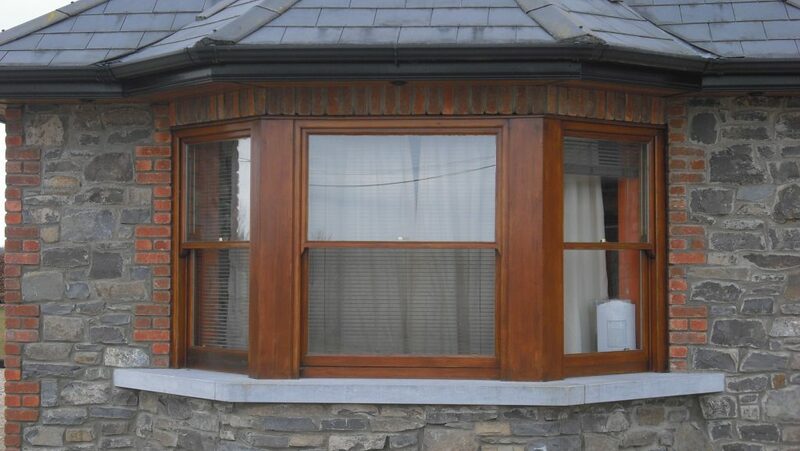 They project out from your home to create extra space and can open as sliding sash or casement windows. 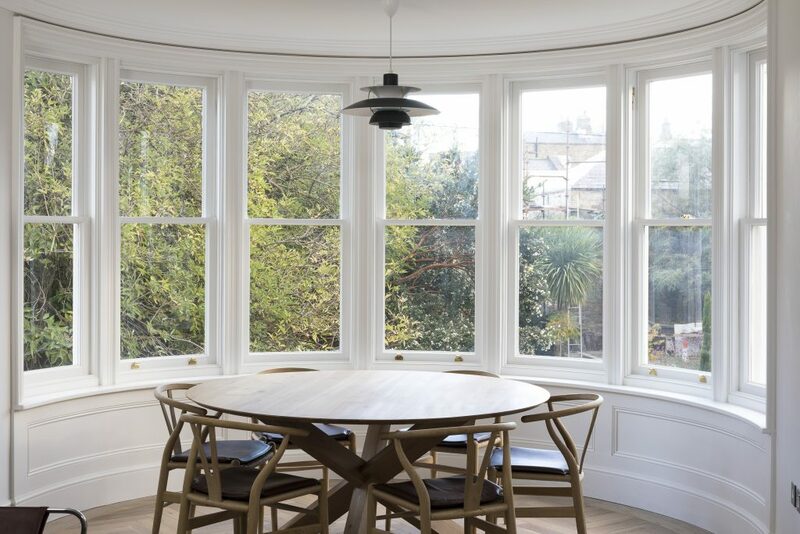 You have a greater choice of timber than in bow windows, as a bay window is a series of windows connected together but their properties are the same as a single window, from a manufacturing, design and price perspective. Unless you are building a new property, the design will depend on what is already present at the site. Your choices will be in the timber, glazing, surround details and paint colours, ironmongery. Our sales specialists will be able to advise you on the best solutions according to your project. 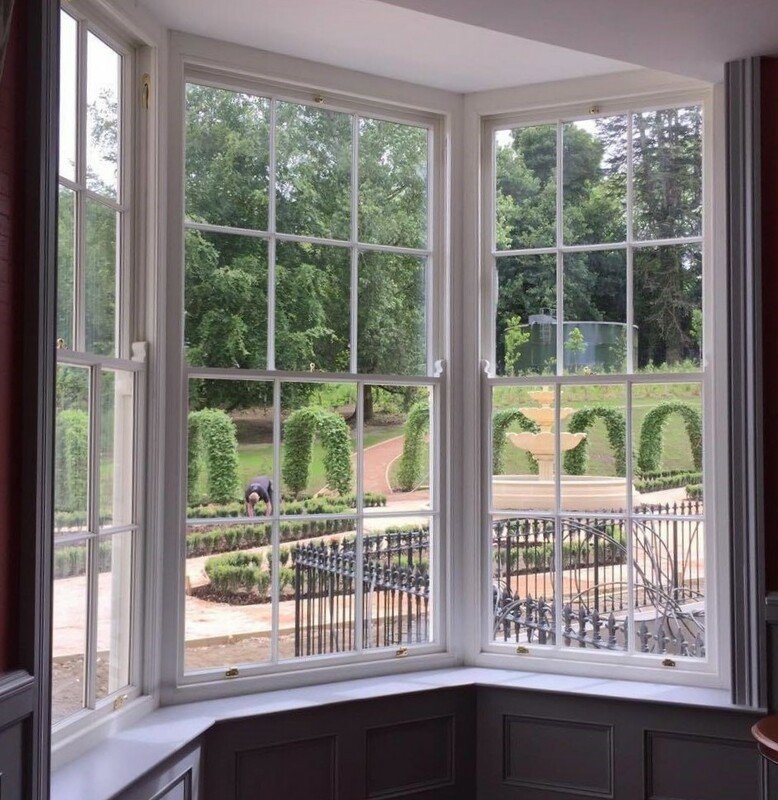 At Timeless Sash Windows we can make any design, so the choices are limitless according to your ideas and guidance from our experts as to longevity, functionality, costs and aesthetics. 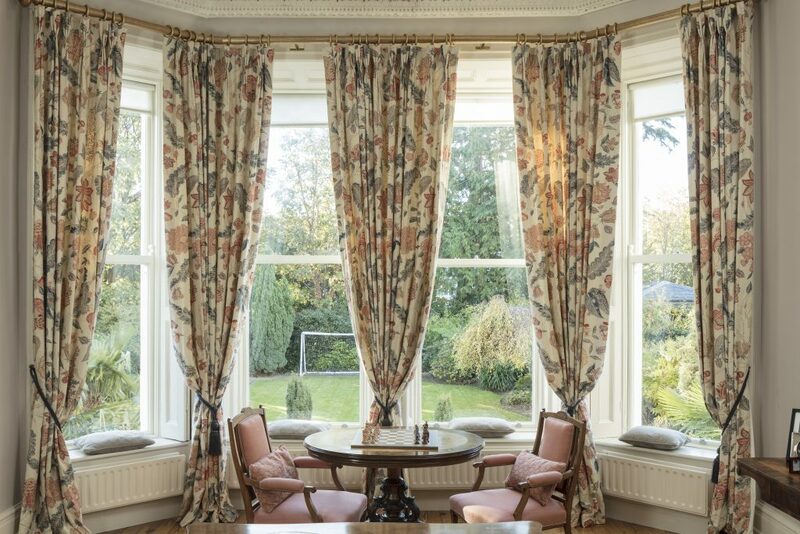 As bay windows and bow windows are an unusual shape in your rooms, careful consideration should be made as to the blinds, curtains and shutters that you prefer. 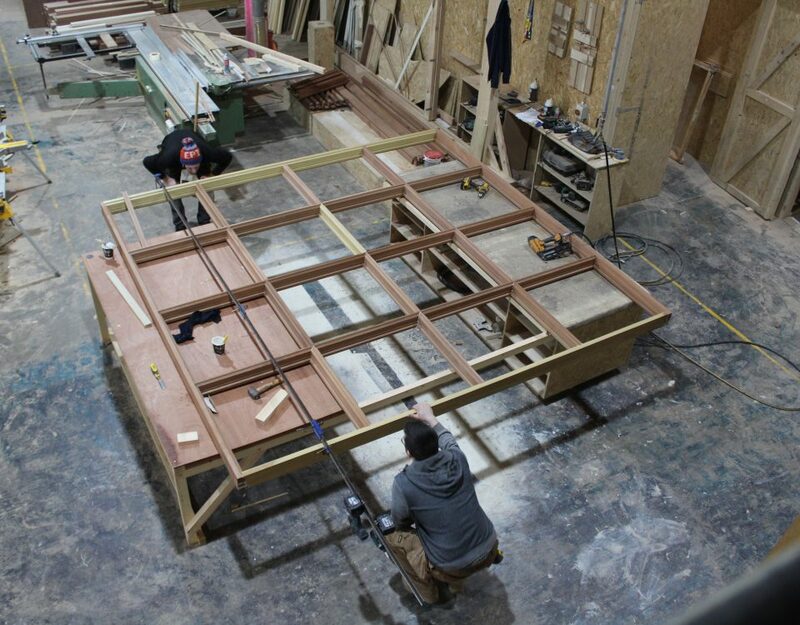 We can manufacture timber shutters and elegant architraves. The curtains or blinds that you choose will either follow the window or close it off from the room. This is a personal choice according to your living preferences. 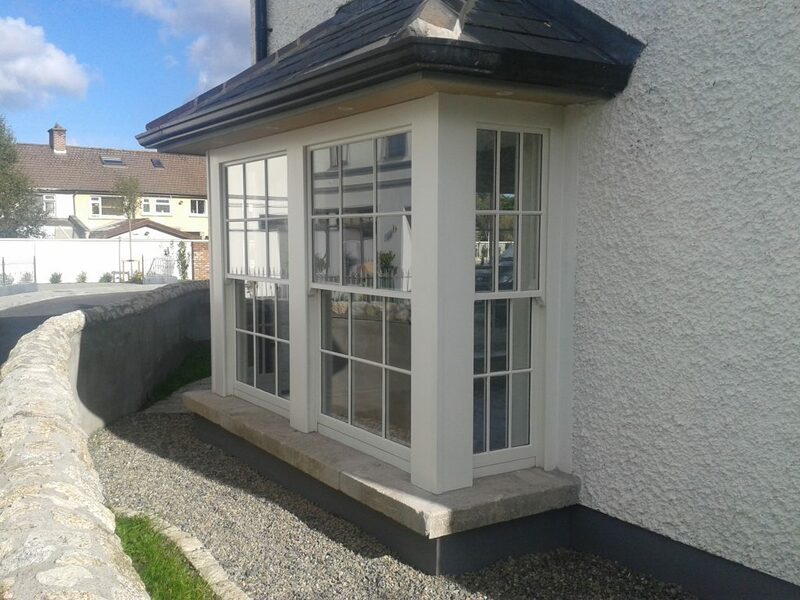 Should you have any further questions or require some personal advice regarding bay windows, call us on 046-9023323 for a free, no obligation quote.